Discovery 3 - All. This part was removed from an 07 Plate Discovery 3. Terrain Vehicles LTD is a family run Independent Land Rover and Range Rover specialist garage. All our used parts are tested by ourselves before we remove them from the vehicle. Part Number: XRA500030. 2004 - 2009 Land Rover Discovery 3, Range Rover Sport and L322 TMC Traffic Master Module. We are a bonefide 'End Of Life' Vehicle Dismantlers situated in East Devon. We willALWAYS resolve your issue but would ask that you call us in order to do so. Land Rover discovery sport / Jaguar XE sport taken from a 2015 model. Controls the window on that door. PARTIE numéro 579085 (type de verrou de colonne direction). Part Manufacturer Lucas. Classic Car Part Yes. Discovery 2 - All. Terrain Vehicles LTD is a family run Independent Land Rover and Range Rover specialist garage. All our used parts are tested by ourselves before we remove them from the vehicle. Cheques are accept but must be cleared before the item is collected or dispatched. Add Us To Favourites. Add To Favourites. Pallet Service. 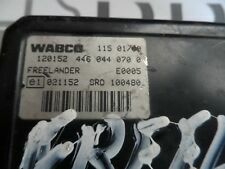 This listing is for a genuine Land Rover used parts This Transfer Box Ecu Module is from a 2002 Range Rover L322 4.4 V8 Please match current part number of 5WP22000AC as shown in the picture Good used working condition. 30 Day parts warranty. As shown in photo. Land Rover Discovery 3 HSE 2006 2.7 TDV6. Will fit Land rover discovery 2.7 TDV6 from 2004-2009. Engine code: 2.7 TDV6 / 276DT. The best way to check this is to check the part number matches for a certain answer, ask us, or compare the photographs. 2 litres de land rover série 1 1953-1959. Land rover 2 liter series 1 1953-1959. Corriger l'entrée de côté sortie arrière capuchon pour. Correct side entry rear exit cap for. AccuSpark™. This is the correct screw in cap with rear entry wires. Manufacturer Part Number YIE500090. Reference OE/OEM Number YIE500090. RANGE ROVER DE LAND ROVER SPORT. PART NUMBER - AMR4886. LAND ROVER DISCOVERY 1. Terrain Vehicles LTD is a family run Independent Land Rover and Range Rover specialist garage. All our used parts are tested by ourselves before we remove them from the vehicle. Discovery 2.5 tdi 300 head with valves only. CN4X4S - QUALITY USED PARTS FOR RANGE ROVER CLASSIC, P38, L322, PETROL & DIESEL. WILL BUY YOUR CAR DEAD OR ALIVE. Hi I’m Charles! AB31 - AB38, AB40 - AB56, IV1 - 28, IV30 - 32, IV36 - 40, IV52 - 54, IV63, KW1 - 14, PA21 - PA38, PH4 - PH41, PH49 - PH50, HS, IV41 - 49, IV51, 55 & 56, KA27 & 28, KW15 - 17, PA20, PA41 - PA49, PA60 - 78, PH42 - 44, ZE, ISLE OF MAN, CHANNEL ISLANDS, NORTHERN IRELAND, REPUBLIC OF IRELAND -These will all be sent via Parcelforce. This listing is for a genuine Land Rover used part This Radio Signal Amplifier Antenna Ecu Module is from a Discovery 4 Please match current part number of 5H22-18K891-KA as shown in photo Will Also Fit Range Rover Sport. Good working condition - removed from '04 plate vehicle. UNLOCK EXTRA VIN’S WITH THIS EAS UNLOCK CODE. ONE VIN UNLOCK PER CODE. LAND ROVER DISCOVERY 3. LAND ROVER RANGE ROVER L322. We are happy to help you. Parts colour may very due to manufacture production. Removed from a Discovery Sport. No labour cost or garage fees will be covered under any circumstances. Cheques are accept but must be cleared before the item is collected or dispatched. Add Us To Favourites. GOOD TESTED WORKING CONDITION. Land Rover Discovery 3 HSE 2006 2.7 TDV6. Will fit Land rover discovery 2.7 TDV6 from 2004-2009. Engine code: 2.7 TDV6 / 276DT. Genuine land rover alarm sensor receiver in very good used condition as removed from a low mileage land rover discovery 3 that suffered an engine failure. BMW série 8 (E31) : 840 & 850 8 cylindres. BMW ALPINA série Z8 (E52) : V8 400ch. BMW série 7 (E38) : 6 & 8 cylindres. BMW série X5 (E53) : 3.0i, 4.4i, 4.6is = 6 & 8 cylindres. BMW série 3 (E36, E46) ; 6 cylindres. LAND ROVER. Power Fold Mirror Ecu - With A12 Pin Plug - Part Number YWC-105260. TRIM LEVEL. Your item will need to be signed for. Compatibility is a guide only. Part Number. 2010 Land Rover Discovery 4 RF Receiver Part Number - AH42-15K602-BC This part may be compatible for other vehicles, please check part number provided is correct before purchasing. Any questions please ask. Postage (UK MAINLAND ONLY). 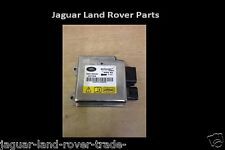 Land Rover Jaguar Air Susspension Control Module AH42 14D392 AB. Condition is Used. Dispatched with Royal Mail Signed For® 2nd Class. Land Rover Range Rover Becm Corps Contrôle Unité ECU BCU-YWC112210. REFERENCIAS: YWC000492 / 53070133D. Unidad de confort para Land Rover. 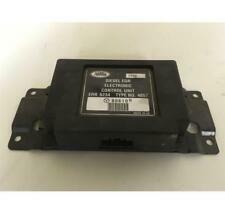 Auto gearbox ECU part number UHC000120. Whenever possible, we provide the part number. If in doubt, ask. unit 1, zone 4A. JJ Car Parts ltd. Get Images that. Make Supersized Seem Small. at their own expense.